Beautifully captured. It's nice seeing images of these lovely creatures as we don't have wild deer here. Very nice photo of these two deer. 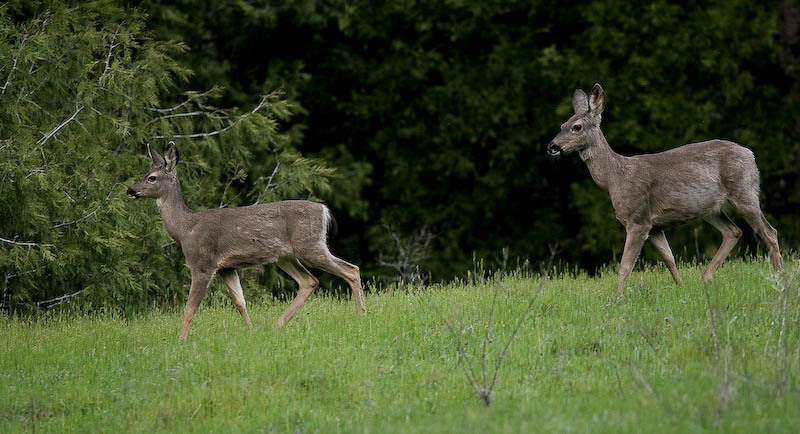 That must be pretty darn good for the soul: to have deer wandering about locally who *aren't* timidified by our presence. Super shot (I like the little TV aerial between them lol)!